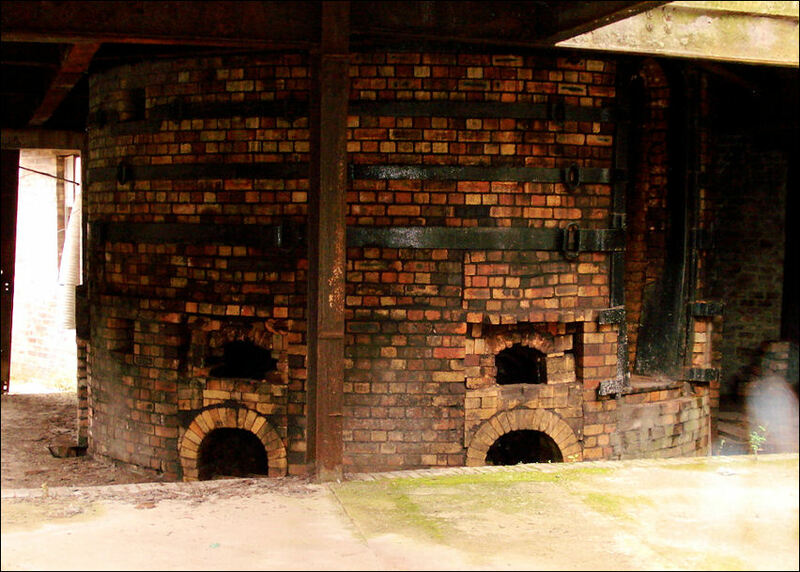 Mid late 19th Century - 4 bottle ovens and two story works range. 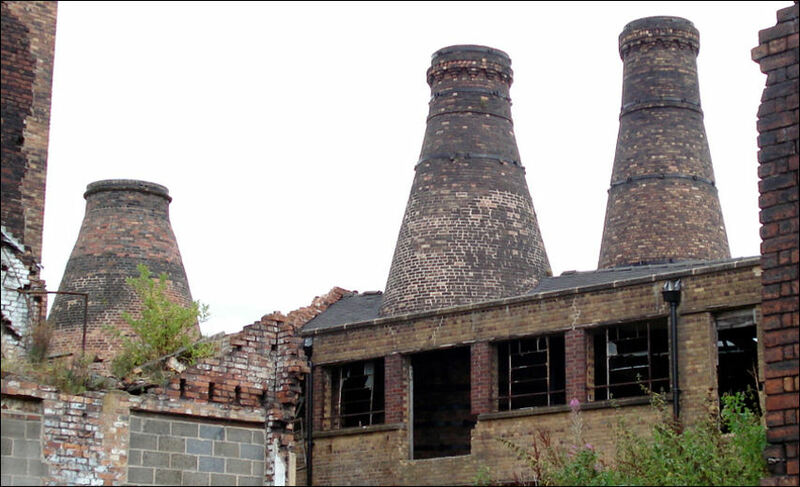 "AROUND 400 teenagers a year are to be taught construction skills at a new £9 million training centre on the site of a derelict pottery works. 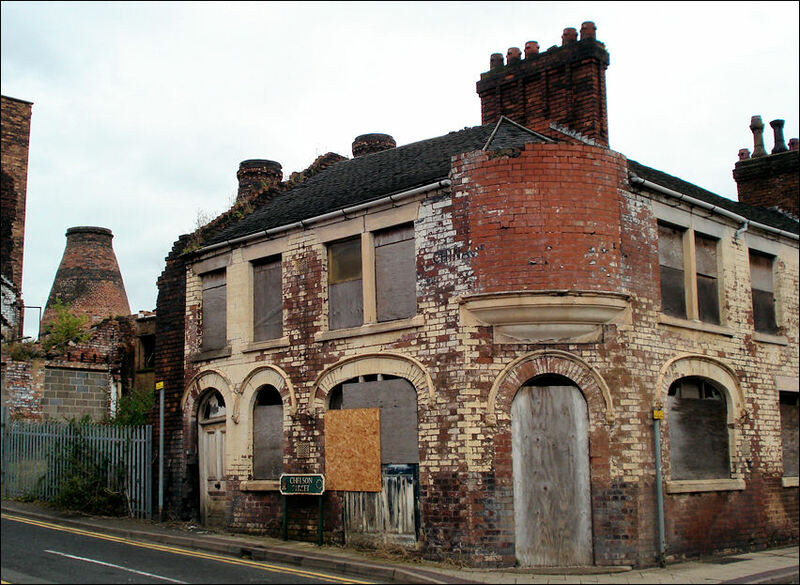 The 14 to 19-year-olds are needed to help rebuild North Staffordshire's regeneration areas and will be taught at the redeveloped Grade-II listed former Enson Works, in Longton. Stoke-on-Trent City Council has secured £4.5 million from the European Regional Development Fund towards the Centre of Refurbishment Excellence project. The scheme is also supported by £2.4 million from the Government, more than £1.8 million private sector cash and £852,000 from the council. 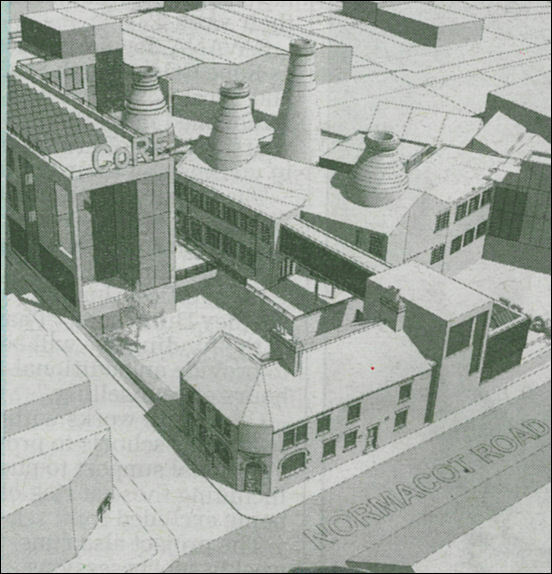 Part of the factory, which dates back to 1882 and is believed to have been abandoned since the 1970s, as well as four bottle ovens will be retained on the site off Chelson Street. But some buildings will be knocked down. That means the City of Stoke-on-Trent Rifle and Pistol Club and roofing firm City Mastic Asphalt must move. Details of the scheme are finally being made public after previously being discussed in private by the council. It is now hoped that building work will start before Christmas and that the centre will be opened in September 2011. Councillor Brian Ward, who presented a report on the scheme to a private cabinet meeting last month, said: "The Enson Works is in desperate need of renovation, and the new training centre will be built in keeping with the original building. "Construction skills will be very important in the future, with all the regeneration planned for North Staffordshire, so we will need centres like this. "It is brilliant that this scheme is coming to fruition and I hope we can now get plans through and get on to the site this year." 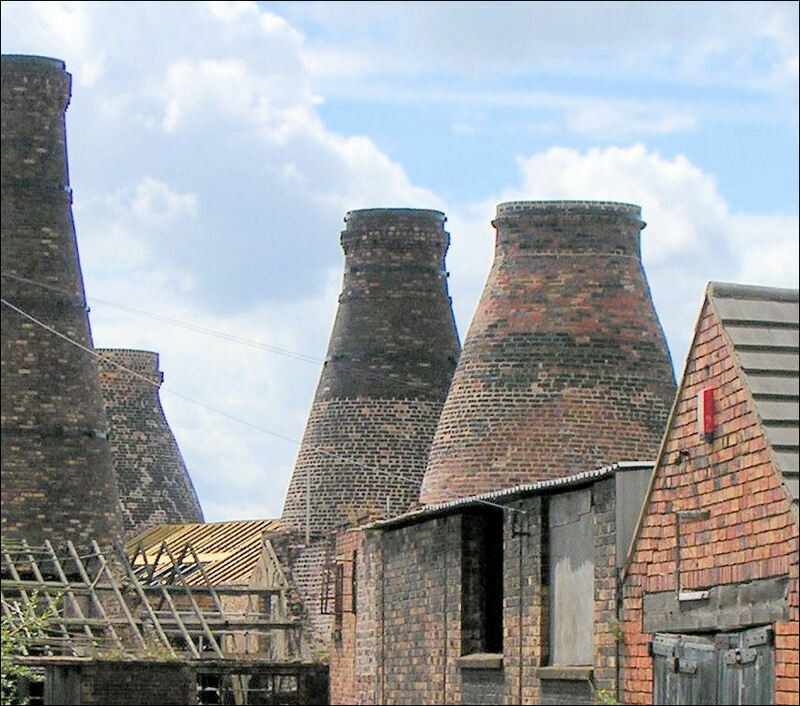 The centre is also supported by the British Research Establishment and Stoke-on-Trent College. College official Ken Burgess said: "This will provide a world-class facility for the Construction and Built Environment Diploma. We anticipate having 400 people at the centre when it opens." The gun club, which has had an indoor range on the site since 1964, is working with the council to find a new site. Committee member Martyn Blezard, pictured left, said: "Our current range is upstairs at the Enson Works, which makes it difficult for disabled users, so we're hoping our new home will be on the ground floor." Frank Watkins, of Normacot Road, said he cannot wait for work to start on the run-down site opposite his home. The 36-year-old said: "The council asked for our views and we are all for it. "It has been a real mess for years. It will be great for the area if it provides jobs."" Numbers 23, 25, and 27 Short Street, Longton. 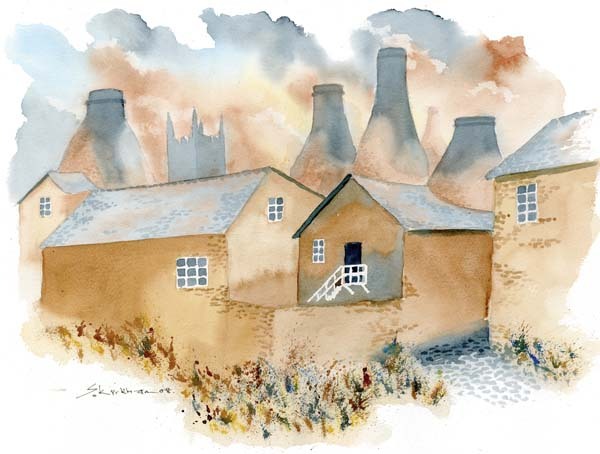 Former pottery works and cottages. Brick. 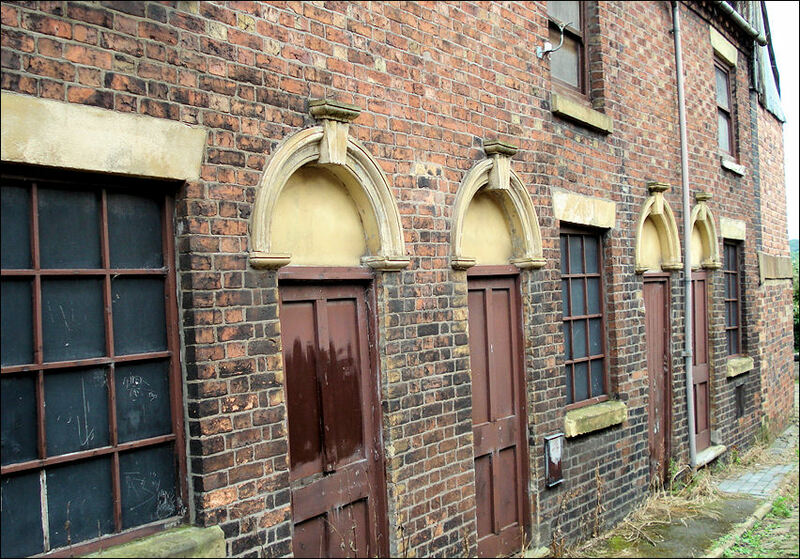 A range of 3 workers’ cottages, each of a single unit plan, fronting onto Short Street. These cottages were used in the television adaptation of Arnold Bennett's book 'Clayhanger'. sIron bands known as BONTS, set about twelve inches apart, run right round the circular oven to strengthen it as it expands and contracts during the firing.